Who Do We Become When We Talk to Machines? 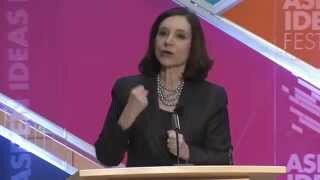 Professor, author, consultant and researcher, Sherry Turkle has spent the last 30 years researching the psychology of people’s relationships with technology. She is the Abby Rockefeller Mauze Professor of the Social Studies of Science and Technology in the Program in Science, Technology and Society at MIT, as well as the founding director of Initiative on Technology and Self, a center of research and reflection on the evolving connections between people and artifacts. Referred to by many as the “Margaret Mead of digital culture,” Professor Turkle has investigated the intersection of digital technology and human relationships from the early days of personal computers to our current world of robotics, artificial intelligence, social networking and mobile connectivity. Her New York Times best-seller, “Reclaiming Conversation: The Power of Talk in a Digital Age” (Penguin Press, October 2015), focuses on the importance of conversation in digital cultures, including business and the professions. 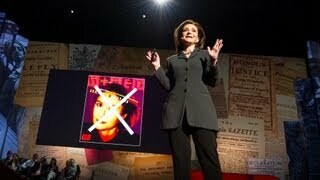 Her previous book, “Alone Together: Why We Expect More from Technology and Less from Each Other” (Basic Books, 2011), was a featured talk at TED2012, describing technology’s influence on relationships between friends, lovers, parents and children, and new instabilities in how we understand privacy and community, intimacy and solitude. Professor Turkle’s exploration into our lives on the digital terrain shows how technological advancement doesn’t just catalyze changes in what we do – it affects how we think. Her research also raises critical questions about technology’s role in business productivity, asking whether multi-tasking actually leads to deteriorating performance in each of our tasks. Does our always-connected state affect our ability to think, to be creative and to innovate? Professor Turkle has been profiled in such publications as The New York Times, Scientific American and WIRED. She is a featured media commentator on the effects of technology for CNN, NBC, ABC and NPR, including appearances on such programs as Nightline, 20/20 and The Colbert Report, and has been named a Harvard Centennial Medalist and a Ms. Magazine Woman of the Year. In 2014, she was named to the American Academy of Arts and Sciences, and in 2017, she received the Everett M. Rogers Award from the Norman Lear Center at USC Annenberg. Professor Turkle received a joint doctorate in sociology and personality psychology from Harvard University, and is a licensed clinical psychologist. 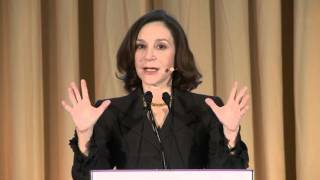 Sherry Turkle is available for paid speaking engagements including keynote addresses, speeches, panels, conference talks, and advisory/consulting services through the exclusive representation of Stern Speakers, a division of Stern Strategy Group®. Is Your Company Overly Reliant on Technology? Would You Let Your Kids Play With AI Robots? In the Future, We’ll Love Our Robot Pets, But Will They Love Us Back? Emotional Fantasy: AI Can Pretend to Love Us, but Should We Love It Back? Sherry Turkle is not taken with new cute robot Jibo’s seductive and friendly repartee. When we have toys for children that declare their love and want to chat, we bring to life a longstanding fantasy that machines might be our companions – that they might seem to not only be smart, but also to care about us. But there, says Turkle, we run into a problem: Simulated thinking may be thinking, but simulated feelings are not feelings, and simulated love is never love. Our “success” in making robots that pretend to empathize involves deception with significant consequence. When we offer simulated companions to our elders, we break a generational compact that we will be there for each other. When we offer sociable toys and digital pets to our children, we embark on an experiment in which our children are the human subjects. Will we be honest enough to confront the emotional downside of living out our robot dreams? Turkle asks us to ponder where this is heading – and to put machines in their proper place as helpful and responsive, not proxies for family and friends. From self-driving cars to digital assistants like Siri and Alexa, artificial intelligence is fast becoming ubiquitous. But while we are quick to embrace technologies that make our lives or jobs easier, we’re slow to observe the dangers: interacting with objects that have no empathy detracts from our own, causing us to become less fully human in the process. 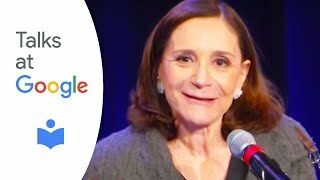 Sherry Turkle argues this is because AI can stand for not only artificial intelligence but also artificial intimacy – the false sense that we can trust devices as we might trust humans. When companies fail to properly communicate the limited nature of these technologies and instead promote them as reliable friends, consumer backlash can become potent. 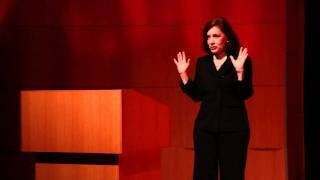 In this presentation, Turkle explains the pitfalls of allowing artificial intimacy to grow unchecked. With vivid cases from the iPhone to insurance companies, she reveals to companies how they can (and should) ensure AI is not deliberately sold as a replacement for human trust or companionship and avoid suffering the consequences of what customers tend to see as a personal betrayal by their machine friends. We are living in a time where empathy – the ability to understand and share the feelings of others – is under assault. The empathy “gap” is widening in many societies around the world. Among college age students, studies conducted over a 30-year period have shown a 40% decline, with most of the drop coming after 2000. A generation has grown up believing it is possible to share our attention during almost everything we do and feeling that we “would rather text than talk.” What are the costs of a “flight from conversation” in personal life, among one’s family and friends? What are the costs in the business world? And most importantly, what can we do about it? 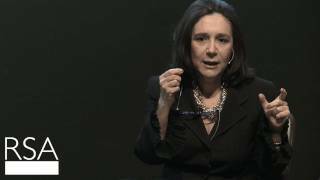 Sherry Turkle believes technology has offered the illusion of companionship without the demands of friendship and then – as it got really good – the illusion of friendship without the demands of intimacy. While we have always known that only people can be empathic, we only really get good at it with our full attention to each other. One of the realities of corporate life is that office technology leads us to make a Faustian bargain with everyday office technology: What we gain from efficiency and responsiveness is compromised by what we lose because of the isolation, disengagement and distraction that comes with digital life. 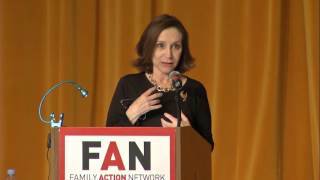 Sherry Turkle calls our work dilemma that of “pilots in the cockpit.” Often, we are too busy communicating online to have the conversations that count – on the phone or face-to-face. At every level, people craft ways to move phone or in-person conversations to screens on which they feel less vulnerable and more in control. Turkle makes an impassioned case for companies to pivot back to conversation-based interactions that spur fully formed relationships. Ultimately, the aim is to become an organization that values empathy, authenticity and engagement. When employees recognize the difference between relational and transactional encounters, they can place a higher value on the former and build better relationships with clients and co-workers. The empathic organization understands that the capacity for solitude, and for relationship and conversation go together. With these underpinnings, employees will be more effective at establishing and maintaining relationships as they develop a competence for attention and focus. They will thrive – and so will your business. — Rebecca Newberger Goldstein, Author of Plato at the Googleplex: Why Philosophy Won’t Go Away.